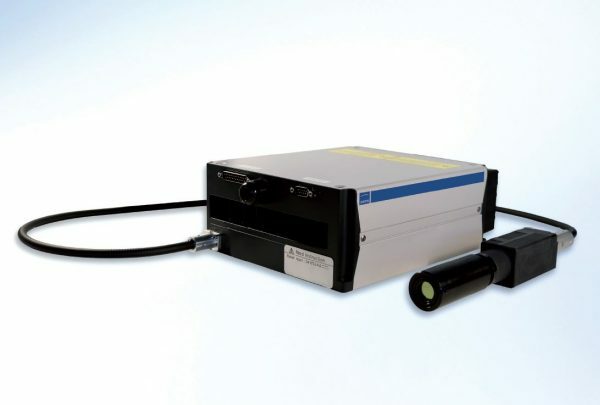 In our previous application note titled “Laser Induced Breakdown Spectroscopy (LIBS) in Biomedical Applications,” we discussed the fundamentals of the technique with a particular emphasis on the use of q-switched diode-pumped solid-state lasers as the excitation source. In this blog post, we are going to explore the possibility of utilizing nanosecond pulsed fiber lasers as the excitation source and discuss the pros and cons of that approach, specifically for the characterization of metals and metal alloys. Fiber lasers have been extensively deployed in the machining applications such as drilling, marking, welding, and engraving over the past several decades, but the first article was not published evaluating their efficacy as an excitation source for LIBS until 2011. In their work titled “Evaluation of a compact high-power pulsed fiber laser source for laser-induced breakdown spectroscopy,” Gravel Et al. performed an exhaustive comparison of pulsed fiber lasers and q-switched solid-state lasers for LIBS. While a full analysis of this work is beyond the scope of this blog post, it is important that we highlight some of their initial findings before discussing the current state of fiber laser technology for LIBS applications. In the article Gravel Et al. concluded that utilizing their fiber lasers they could measure detection limits as low as micrograms per gram for many common metals and alloys. According to the authors “This work has demonstrated the fiber laser capabilities for elemental analysis of at least aluminium and copper alloys by LIBS, where analytical performances showed to be, in some cases, close to those obtainable with the traditional high energy Nd:YAG laser.” They attributed much of this to the beam quality of the fiber lasers in conjunction with the longer pulse width, which in turn resulted in significantly deeper and cleaner ablation craters. This result should not be surprising when you consider the fact that these lasers were originally designed for precision machining applications. They further went on to explain that they found that these extremely high pulse repetition rate of the fiber laser could allow them to take advantage of the high-speed electronics of a compact spectrometer to further increase the sensitivity of the system. It is important to note that in their analysis fiber lasers were not able to live up to the overall pulse energy production or with the compactness of microchip lasers, their potential for industrial applications was demonstrated. Since that time there have been significant advancements in fiber laser technology and can now produce pulse energies in greater than 1 mJ and pulse repetition rates up to 200 kHz while still maintaining a TEM00 beam profile. A perfect example of this is the JenLas series of nanosecond pulsed fiber lasers from JenOptik in Germany. Because of its roots in material processing and laser machining, the JenLas is designed to operate in harsh environments, with a sealed enclosure against dust and mist. This makes it ideal for integration into instrumentation designed for the field (e.g., mining or scrapping) applications or for process applications such as metallurgy verification and grading at the production facility. Here at RPMC Lasers, we offer the JenLas series, which is available in four different standard configurations ranging from 25W to 105W of average power. These units come standard with an integral isolator to provide enhanced robustness from back-reflections, and an on-axis guiding laser to ensure ease of alignment and targeting. Either software or hardware can control the JenLas, or a combination of the two, through RS232 and TTL interfaces on the rear on the control box. All of these features make it the ideal laser source for integrating into industrial LIBS instrumentation.